I spent all day Sunday working on the garden. First I had to clear out the trumpet vines that came up through the bottom. 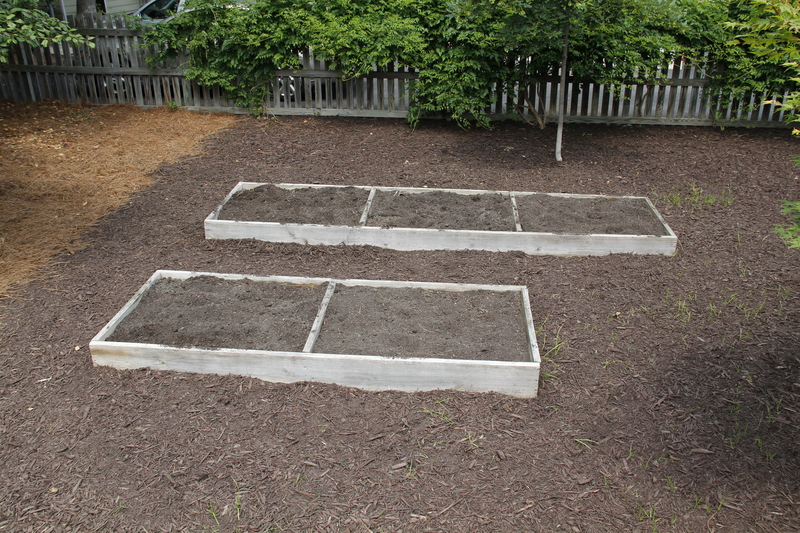 I spread on several types of compost, some top soil, a little fertilizer, and mixed it all together. Finally there was nothing left in the garden but the dirt. At that point, I went to the local garden center to get my plants, seeds (I didn’t plan ahead very well this year), and other supplies. Tomorrow’s picture will be the planted garden with my security measures in place. A while back, one of my friends asked if I took the pictures to match the words. I don’t, mostly due to lack of patience and time. I work on these pretty late at night and quite often, my subjects are not available due to lack of daylight or because they’re already asleep! But as I looked over the last few days of photos, I couldn’t think of a better photo for the word nothing. Word for tomorrow – NEVER. If you prefer to work ahead, see the list for the week under “A Word A Day”.